As you probably know, the market for tickets to the SEC Championship Game has remained strongly in favor of the seller. 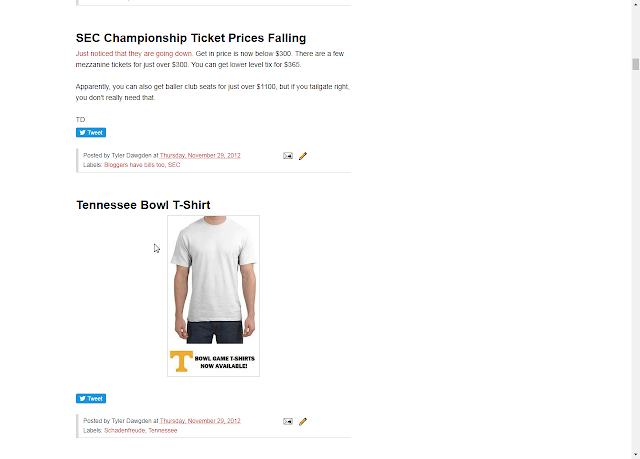 I remember writing something for the 2012 game and what prices did, thinking they were falling early in the week, so I looked through the ole GSB archives to find, yes, they were falling earlier in the week. Never change, Tennessee. Never change. By the way, the get in price is down around $400 as of this morning, with lowers in the upper $600's. 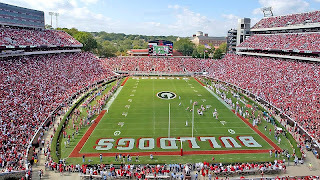 With only about 20% of the traffic on ticket broker sites coming from Alabama, there is a good chance tomorrow's crowd will be leaning towards Georgia.